Commemorating the legendary Vaughan Brothers’ timeless contributions to blues guitar, Fender Custom Shop is proud to release the limited-run Vaughan Brothers Two-Stratocaster® Set. Limited to 30 sets and crafted by Master Builder John Cruz, this pair of guitars faithfully recreates every detail of the historic instruments the brothers used to carve their place in music history. 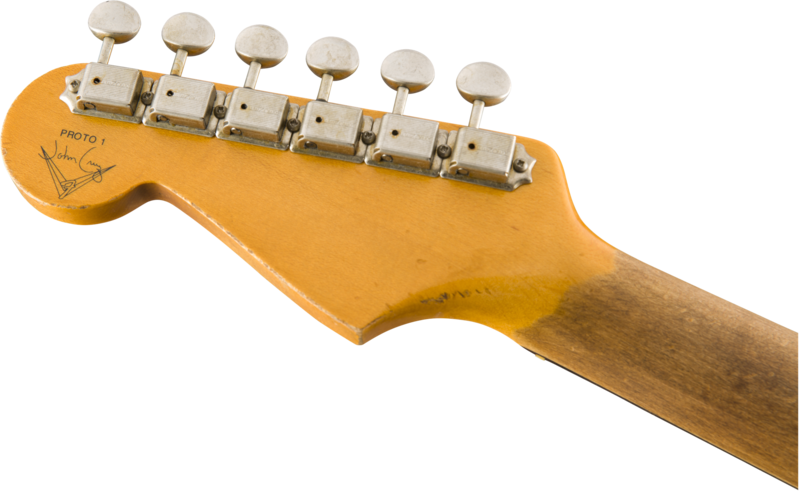 Arguably one of the most famous guitars in the world, the SRV #1 long stood as Stevie’s pride and joy in the studio and on the road until his untimely demise. Paying tribute in painstaking detail to the guitar Stevie affectionately dubbed his “first wife,” the Limited Edition SRV #1 is a sonically and aesthetically correct rendition of a legendary instrument. A benchmark in attention to minute detail, this version of SRV’s #1 Strat hearkens back to an earlier version of the guitar, featuring a battle-worn lacquer finish that represents the guitar at an earlier stage in its life. Cruz reproduced every detail, including a cigarette burn under the low E-string on the headstock, giving this guitar the authentic scars from being played behind the head and back, with a mic stand and foot---however else Stevie Ray felt inspired to perform. 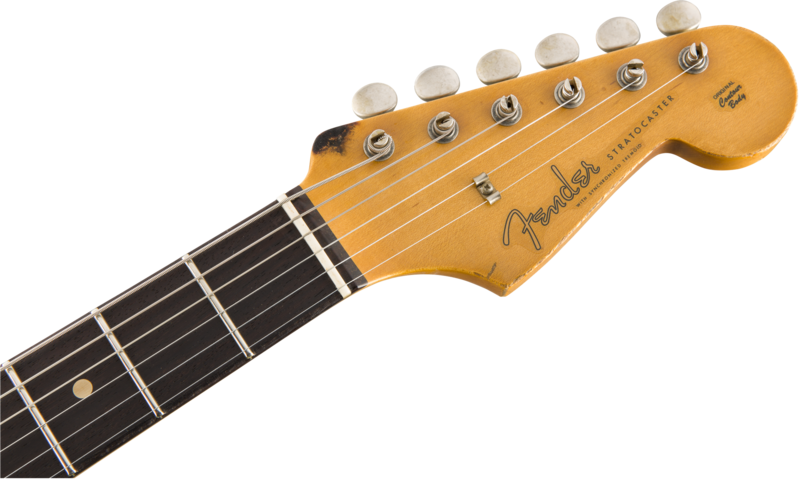 Recreated with unerring precision by Master Builder John Cruz, the Limited Edition Stevie Ray Vaughan Strat bears all the idiosyncrasies of the original; a 5/4 riftsawn maple neck with custom “Oval C” profile is matched to a two-piece select alder ’63-style body and hand-wound Custom Shop pickups. 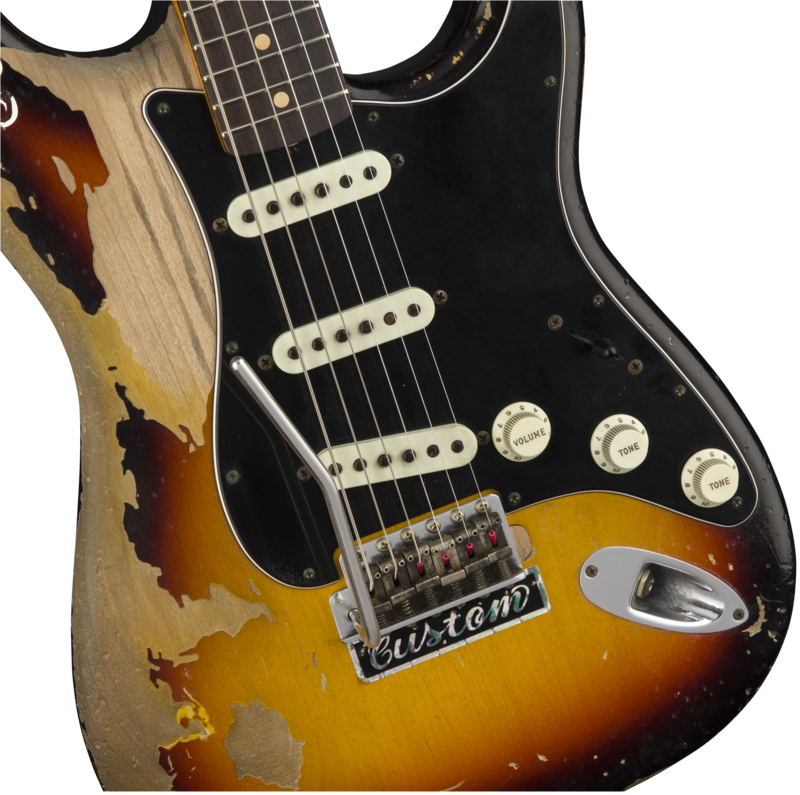 Just like the storied original, this guitar bears an American Vintage left-handed synchronized tremolo bridge for custom, Hendrix-style access, including elbow manipulation. Other features include 10”-radius round-lam rosewood fingerboard, 21 #6100 frets, five-way pickup switch, custom wiring, 3-ply Black pickguard, vintage-style chrome tuning machines, bone nut and wing string tree. 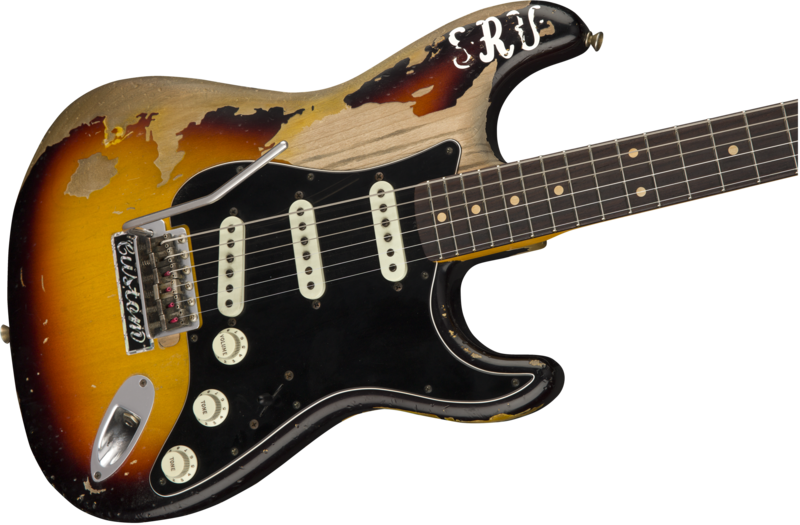 Includes deluxe hardshell case, custom SRV strap and Certificate of Authenticity.